Dear Santa, bring her a heart, the one she's got is broken. Fill up her stocking with the words, that I left unspoken. I hope December is treating you well, and that you'll finish your shopping and baking and wrapping in time to enjoy the holidays. I've got two kiddos to shop for, plus a niece and a lot of nephews, plus Christmas cookie recipes galore, plus last minute decorating to knock out, but I'm nearly there as far as checking things off my holiday To-Do list. What a relief! The last six weeks have been busy, writing-wise. I "won" National Novel Writing Month, which means I managed to draft 50,000 (messy) words during the month of November. It was a whirlwind, and this new story of mine is far from done, but it felt good to write freely, without worrying too much about pacing and plot holes and publishing contracts and all that jazz. I explored my characters and played with some new themes and found inspiration all over again, which is why I continue to participate in NaNoWriMo, despite the fact that by the end of the month, I feel completely wrung out. 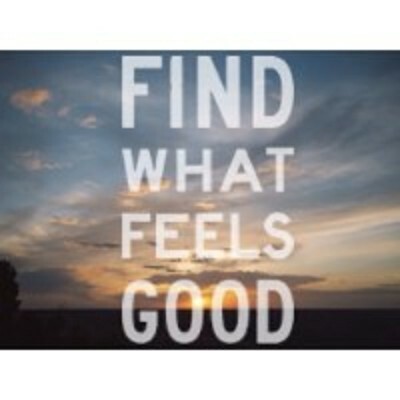 It's excellent for finding a groove and letting the words flow. I haven't actually worked on my NaNoWriMo story (which has a title that I'm keeping it top-secret because *reasons*) since November, but I'm very much looking forward to getting back to it in the coming weeks. I've slacked on my NaNoWriMo story since December began because I've been knee-deep in revisions for The Impossibility of Us, my 2018 young adult romance. Oh my gosh, guys, I love revising -- especially after a month spent drafting! For me, it's so much easier to fix something that's already written than to create a story out of nothing. Anyway, this round of revisions dealt a lot in nuance, and theme, and character arcs, and it was so much fun to be back with Elise and Mati, these fictional people who I've come to adore. I can't wait to introduce them to you in 2018! From Rebecca: "...this book seriously made me feel like I was 17 again. The butterflies. Those sleepless nights. Growing pains. College dreams. Little siblings. The boy you simply cannot get out of your head. I honestly felt it all again, like it was yesterday, which is why I love YA more than anything else, and why I truly loved this book!" From Karole: "I consider myself somewhat of a brooding broken boy connoisseur if you will, and so when I say Max Holden won me over in chapter 1, I don’t make that statement lightly. In truth, all of Upperman’s characters won me over quickly, perhaps because I found them so authentic and charming from the get-go." 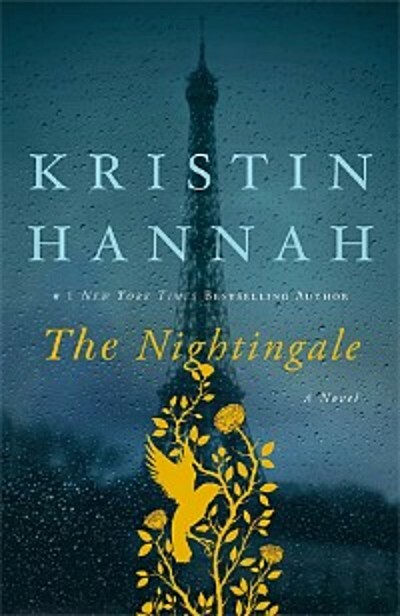 The Nightingale is the first Kristin Hannah book I've read; it was selected by the book club I recently joined. I like historical fiction, and I'm a huge fan of books about strong women, so it's no surprise I loved this one. Pick it up for a riveting read about two sisters struggling to survive in WWII occupied France. 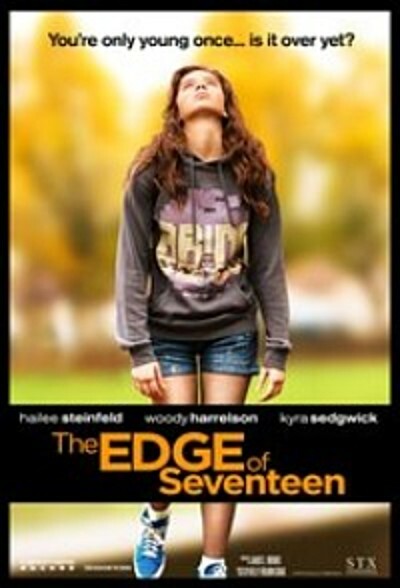 I adored The Edge of Seventeen! It's basically my favorite sort of YA book (one about real teens with real problems, told unflinchingly) playing out onscreen. Hailee Steinfeld is a delight, the dialogue is fantastic, and I definitely experienced all the feels. Recommend! 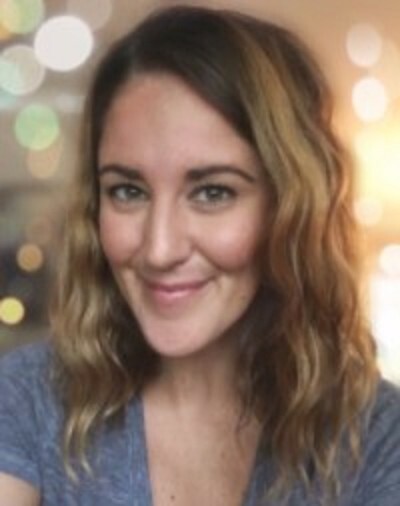 I've been a fan of Yoga With Adriene for years -- she's amazing! 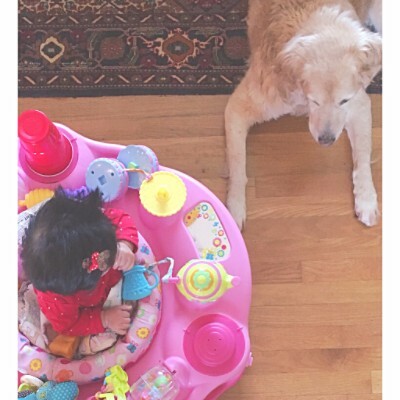 Sadly, though, I've neglected my practice in the last few months because with book deadlines and Foster Baby, it's sort of hard to find time for exercise. But! No excuses! I'm committing to getting back on track starting now, and Thirty Days of Yoga is the perfect motivation. Who wants to join me? 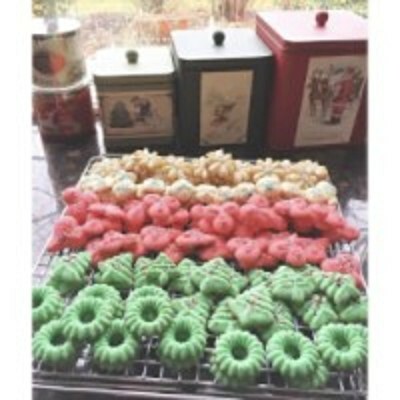 I bake Spritz cookies every holiday season -- they're just so festive and buttery and delicious! Instead of linking a specific recipe, I'm linking the cookie press I own, which comes with a mini cookbook that'll help you get started if you're new to the world of Spritz. Essie's new Gel Couture polishes are living up to my high expectations. 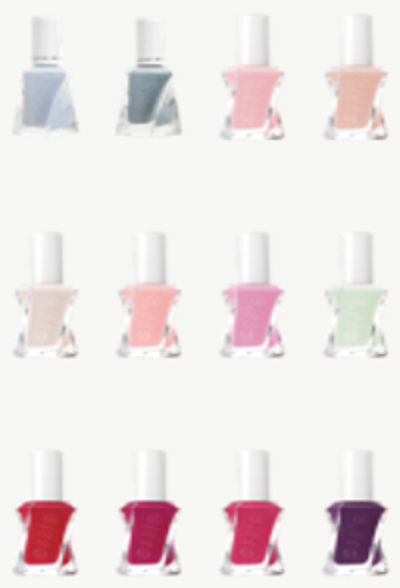 Gorgeous colors, smart brush design, and longer wearing than any other nail polishes I own. If you're going to give them a try (you should!) make sure to pick up the top coat. It's essential! Kissing Max Holden (Swoon Reads/Macmillan - Coming August 1st, 2017) Seventeen-year-old aspiring pastry chef Jillian Eldridge is drawn to her neighbor, Max Holden, like sugar to butter. When Jill receives a late night visit from bad-boy Max, the result is an impulsive but sizzling kiss that leads to all sorts of trouble. Kissing Max Holden at BAM!